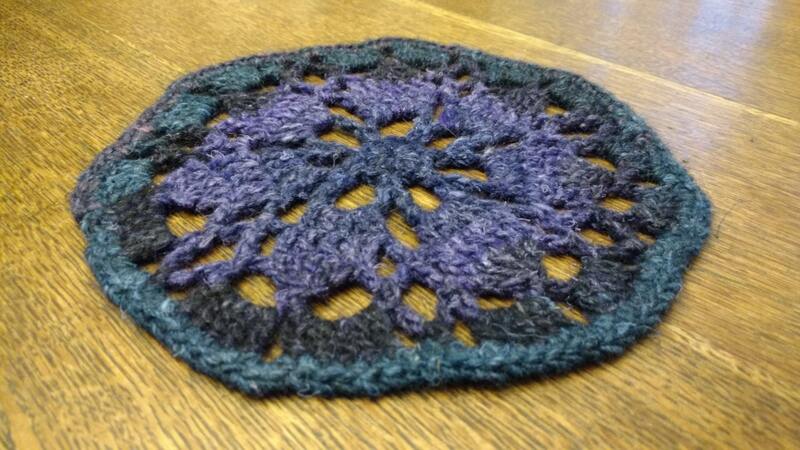 This trivet is worked up in a deep indigo, purple, and blue yarn. 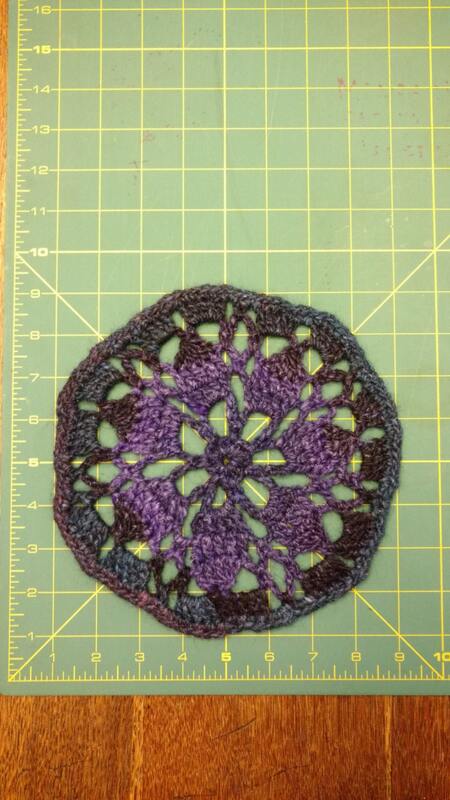 The yarn is Noro Silk Garden and consist 40% Wool, 25% Silk, 25% Nylon, and 10% Kid Mohair. 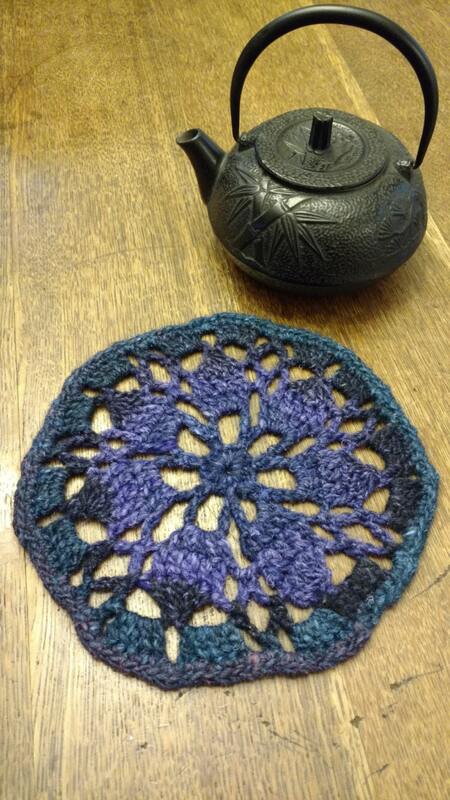 The coaster would work just as well for a large mug as it would for a small teapot. 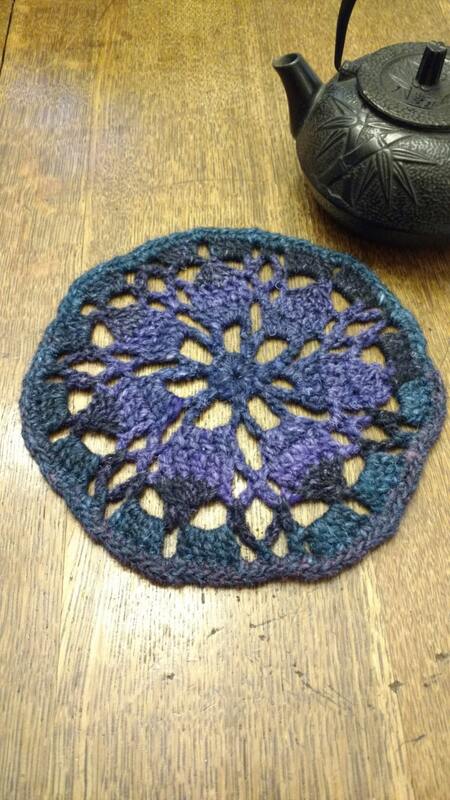 The pattern is a from a crystal motif. 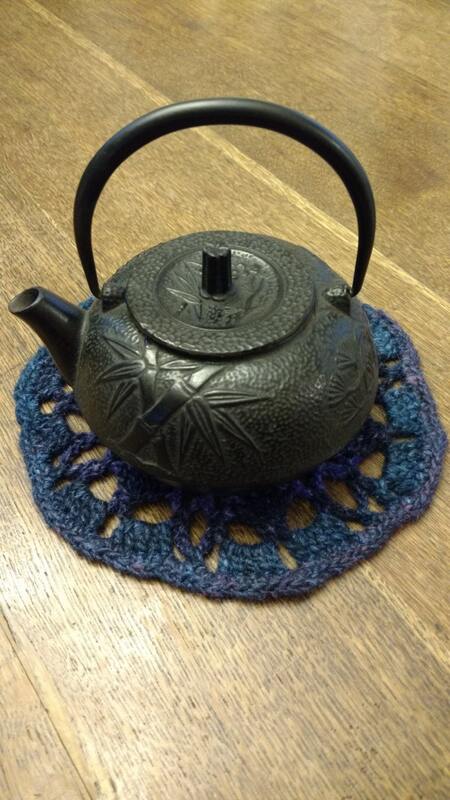 The trivet is approximately 8 inches in diameter.